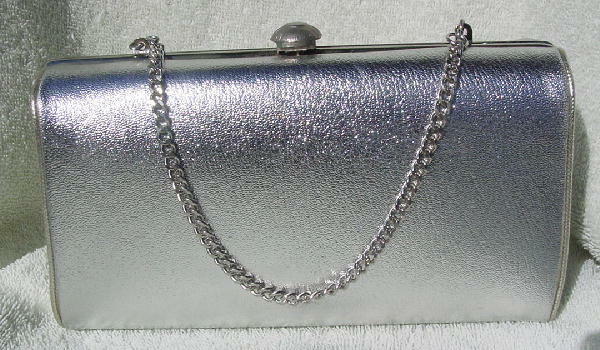 This vintage silver lame purse has an 11" silver-tone link chain which you can also tuck inside and carry as a clutch. It has a champagne-peach fabric lining. There is a silver-tone metal rim which goes from side to side. The lame is missing along the backside edges and bottom edges. 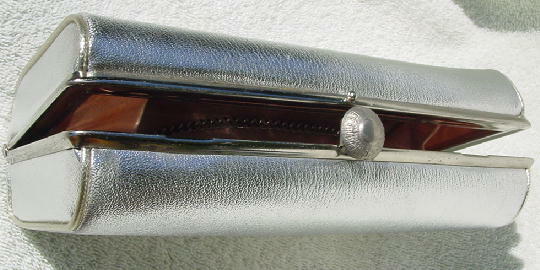 It has a textured rounded button-shaped top closure. It's quite roomy and will hold quite a bit.